Banks in the UK will be forced to prove that their capital ratio would remain healthy even if the economy slips back into a severe recession. 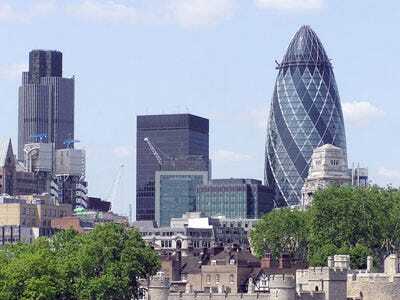 The Financial Services Authority has order UK banks to run a new round of tougher stress tests that assume unemployment climbs to 13.3 per cent as the economy contracts an additional 2.3 per cent, the Financial Times is reporting. The tests are more stringent than the ones the banks were required to pass last year, which assumed peak unemployment of 12.5 per cent and a peak to trough slump of 6.9 per cent in gross domestic product. The FSA said the actual fall in the UK economy in 2009 was slightly larger than it had expected when designing stress tests for banks last year, but unemployment did not rise as quickly as it had feared and property prices had proved more resilient, leading to lower than expected losses on residential mortgages. The new stress tests therefore assume house prices will fall by a total of 36 per cent, less than the 50 per cent assumed in the 2009 tests. The regulator said it feared lenders might be “underestimating the number of borrowers in financial difficulty” and failing to prepare for a rapid rise in defaults, should interest rates rise. Insurers, meanwhile, must adjust their expectations, the FSA said. “It is unlikely that the trading environment will quickly, if ever, allow firms to return to the levels of income and profitability experienced prior to the crisis,” the 88-page report said.